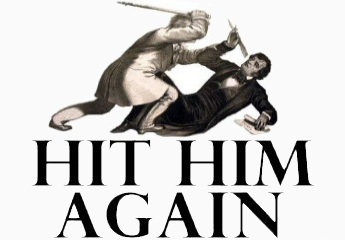 Preston Brooks is an entertaining character of American history – despite his being on the wrong side of slavery. During his lifetime, he participated in multiple duels, fisticuffs, was expelled from college (after being suspended twice), held up a jail at gunpoint – only to eventually become a lawyer and U.S. Congressman. This site is devoted in part to discovering more about his turbulent life and will be periodically updated with historical research. As to his defining event, Brooks assaulted Charles Sumner in retaliation for the contents of a speech delivered on the floor of the Senate in promotion of Kansas’s entry into the Union as a free state. Brooks took exception to two main points of Sumner’s speech. With regret, I come again upon the Senator from South Carolina (Mr. Butler), who, omnipresent in this debate, overflowed with rage at the simple suggestion that Kansas had applied for admission as a State and, with incoherent phrases, discharged the loose expectoration of his speech, now upon her representative, and then upon her people. There was no extravagance of the ancient parliamentary debate, which he did not repeat; nor was there any possible deviation from truth which he did not make, with so much of passion, I am glad to add, as to save him from the suspicion of intentional aberration. But the Senator touches nothing which he does not disfigure with error, sometimes of principle, sometimes of fact. He shows an incapacity of accuracy, whether in stating the Constitution, or in stating the law, whether in the details of statistics or the diversions of scholarship. He cannot open his mouth, but out there flies a blunder . . . I should have forfeited my own self-respect, and perhaps the good opinion of my countrymen, if I had failed to resent such an injury by calling the offender in question to a personal account. It was a personal affair, and in taking redress into my own hands I meant no disrespect to the Senate of the United States or to this House.